Die AKP sollte Binali Yıldırım in ihrer Sitzung vom 22. Mai 2016 zum Präsidenten wählen. Wie wir bereits vor zwei Wochen angekündigt haben, sollte er sofort das Amt als Premierminister übernehmen. Von der westlichen Presse als eine dem Präsident Erdoğan völlig ergebene Persönlichkeit dargestellt, ist er eigentlich eine Schlüsselfigur des aktuellen Mafia-Systems. Binali Yıldırım ist ein Seefahrt-Experte, ehemaliger Leiter der Internationalen maritimen Organisation. Er wurde Recep Tayyip Erdoğan vorgestellt, als er für die ultra-nationalistische Partei Millî Görüş zum Bürgermeister von Istanbul gewählt wurde. 1994 zum Leiter der IDO (Meeres-Busse von Istanbul) ernannt, gründete er im Auftrag des Bürgermeisters und für sich selbst ein riesiges System von Veruntreuung von öffentlichen Geldern. Seitdem hat die Yıldırım Familie ihr Glück gemacht. Der Sohn Erkan und die Tochter Bahar Büşra haben das Unternehmen Derin Denizcilik Taşımacılık Sanayi Ve Ticaret Limited Şirketi erstellt. Die Familie kontrolliert 17 Unternehmen, 28 Schiffe und Superyachten. Der kurdische Abgeordnete Sezgin Tannkulu (Republikanische Volkspartei CHP) hat der Groß-Versammlung vorgeschlagen, eine parlamentarische Untersuchungskommission zu erstellen, um die Bedingungen für dieses plötzliche Vermögen zu untersuchen, aber die Mehrheit (AKP) lehnte diesen Antrag ab. 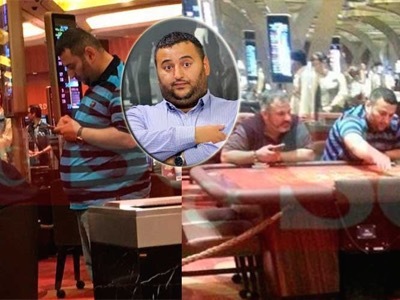 Vor einem Monat veröffentlichte die türkische Presse Fotos von Erkan Yıldırım, als er in einem Casino in Singapur spielte. Der junge Mann hatte damals behauptet, in die Falle geraten zu sein und nicht Pokerspielen zu können. Während der gerichtlichen Untersuchung von Dezember 2013 – die von der Regierung unterbrochen wurde -, war der Name Binali Yıldırım als der „Pate“ der um Präsident Erdoğan zentrierten Mafia-Organisation zitiert worden. Nach Ansicht der Richter übte Herr Yıldırım verschiedene Erpressungen gegen die wichtigsten Unternehmer des Landes aus. Vor seinem Eintritt in die Politik war Recep Tayyip Erdoğan selbst der Anführer einer Bande in Istanbul. May 27 2017, 12:21 a.m. The deal is complex but, in a nutshell, goes like this: Mansimov purchased a ship and opened a Maltese holding company for it in 2007. In October 2008, another company registered in the Isle of Man that belonged to Erdogan’s brother-in-law and his son purchased all shares for $25 million. The next day, that firm took out a $18.4 million loan arranged by Mansimov. Normal, so far. However, documents show that Mansimov pledged to pay off the entire seven-year loan plus interest in exchange for leasing rights through 2015 (the remaining $7 million of the purchase price was paid by a close personal friend of Erdogan for reasons unknown). Mansimov’s company, which controls two-thirds of Black Sea oil shipping, extended the leasing option through 2020 for $1.2 million a year. All told, the deal amounts to a $21.2 million cash transfer from Mansimov to Erdogan’s family. 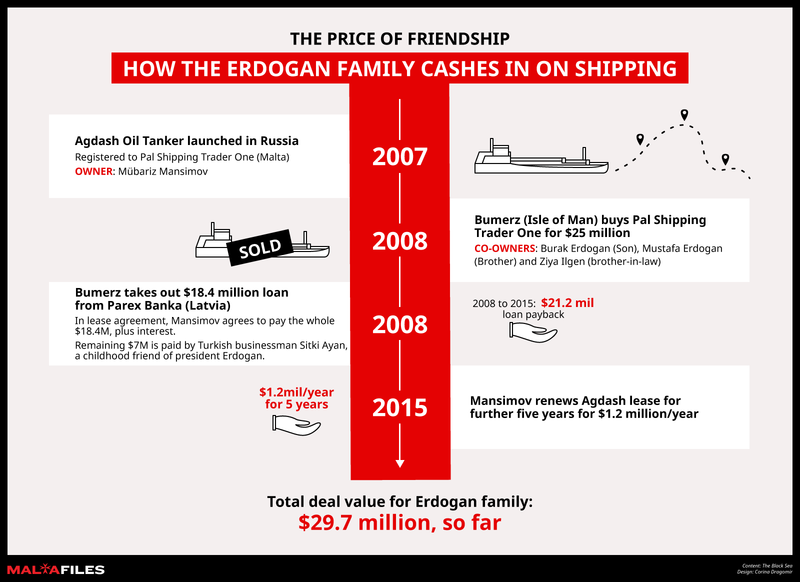 Despite having supposedly sold the ship to the close friend who paid $7 million in 2011, in three instances since then, Erdogan’s brother-in-law signed documents attesting to be the “sole beneficial owner” of the tanker. Ramadan 2009. Turkey’s Transport and Maritime Minister, Binali Yıldırım, was invited to break fast with the top brass of his country’s shipping business at a ceremony of the Barbaros Shipowners Association in Istanbul. After the meal, Yıldırım took to the stage. His speech adopted a serious tone. From now on any Turkish businesses owning ships, yachts or sea vessels that flew foreign flags would be “treated with suspicion” by the government, he said. The idea was to create a strong, national shipping fleet brandishing the Turkish colours and paying fees and taxes to the Turkish state. Sat a few metres from Yıldırım was his 30-year-old son, Erkam. His son might have felt embarrassment at his father’s speech, since at that time he was the registered owner of least one general cargo ship called the ‘City’, through the family’s offshore company in the Netherland Antilles. This freighter flew not the Turkish flag, but that of the Dutch Caribbean Islands. Since then, the family’s ownership of foreign-flagged ships has grown, leading to the conclusion that Yıldırım’s speech was nothing less than hypocrisy. An investigation into the Yıldırım family enterprise, part of the European Investigative Collaborations’ (EIC) #MaltaFiles, reveals that the family currently sits on shipping and related assets of well over 100 million Euro. This consists of eleven foreign-flagged ships nestled in a network of secretive companies in Malta, the Netherlands, and the Netherlands Antilles – specifically now Curaçao, with more suspected in the Marshall Islands and Panama. At least four of the ships are financed with huge loans from Swiss and Turkish banks, including one part-owned by the Turkish state. While some of the activities, especially in tax havens, remains opaque, The Black Sea discovered that Yıldırım’s son, daughter, uncle and nephews have purchased seven properties in the Netherlands, worth over two-and-a-half million dollars – all of which were paid for in cash. The investigation also uncovered how the Yıldırıms used one of these Dutch companies to anonymously donate 600,000 Euro (1.75 million Turkish Lira) to the municipality of Pendik, near Istanbul, for a lavish new mosque. EIC’s investigation traces how the family’s offshore shipping operation has grown in line with Binali Yıldırım’s towering career to become the second most powerful man in Turkey. Prime Minister Binali Yıldırım is no stranger to mixing his family’s fortunes with his role as a public servant. His career in shipping manager began in 1994 when he managed the Istanbul Fast Ferries Company (IDO), owned by the city. However the Istanbul bosses fired him in 2000 over revelations he awarded a contract to manage the ferries’ canteens to his uncle, Yılmaz Erence. The scandal did little to harm Yıldırım’s career. Instead, he entered politics. Since 2001, he has been a key member of Recep Tayyip Erdoğan’s Justice and Development Party (AKP). When this fledgling movement won the 2002 Turkish elections, Yıldırım landed the job of Minister of Transport in the new government’s first ever cabinet. He held this job, with some interruptions, for almost 12 years. Throughout his tenure, there has been speculation in the Turkish press and among lawmakers about his family’s business. Several times, Yıldırım refused to answer questions in parliament from opposition MPs demanding that he reveal details of how they make their money in shipping. His only public statement is to a journalist from CNN Türk in March 2013, when he coyly explained that that he passed his shipping business to his children when he became a MP in 2002. But he would not go into detail. How does a politician’s family build an asset portfolio of 140 million Euro in just over ten years? The first traces of the Yıldırıms’ offshore adventures appear in Malta in 1998, via a company that alludes to the Turkish provenance of its shareholders – Tulip Maritime Limited. This was headed by the Prime Minister’s Uncle Yılmaz and contacts from Turkey’s political and business world. These included Salih Zeki Çakır, a known ship-owner who employed Yıldırım briefly before his career in Government, and Ahmet Ergün, President Erdogan’s advisor from his days as Istanbul Mayor, as well as a former MP and high court judge, Abbas Gökçe. Their first vessel was the Silver Fish, a cheap twenty-year-old cargo ship, which was soon broken apart. Over the course of the 2000s, the team built up other companies and bought other ships. These are now mostly broken up or sold. By 2009, when Yıldırım delivered his impassioned speech promoting Turkish nationalism at the Ship Owners Association, the 4,000-tonne ‘City’ appears to be the only foreign asset. This was sold by Erkam two months later to their Panama company, North Bulkers S.A., before being broken up in 2011. Since then the family’s shipping fortunes have acquired a formidable buying power. Six of the eleven ships identified by The Black Sea and EIC – worth between 1.9 million and 33 million Euro – appear to have been bought without any bank loans. If so, this suggests an enormous cache of funds exists in the Dutch operation, despite on paper being a money-losing business. The eleven ships are owned by offshore companies in the Netherlands and Malta, countries with attractive tax benefits for the maritime industry. In February this year, Binali Yıldırım – as Prime Minister – visited Malta to sign a refugee agreement with the local government. If he had been so inclined, he might have taken the short journey to visit the offices of Mifsud and Sons Ltd in the capital, Valletta, and the nearby town of St Julian’s. This firm is owned by its namesake, Simon Mifsud, and represents the Yıldırım family’s latest shipping outfits in the country, called Dertel Shipping Limited, Nova Ponza Limited, Rory Malta Limited and Nova Warrior Limited. The Yıldırıms took over the new companies on 9 June 2016, a little over two weeks after Erdogan appointed Yıldırım as Turkey’s Prime Minister. The director of each of these is Süleyman Vural, Yıldırım’s nephew…….. But this is minor league compared to the family’s Dutch operation – where the assets reach over 130 million dollars. Erkam Yıldırım has strong commercial ties in the Netherlands. These interests include modest properties and expensive ships. When analysing the Yıldırım family’s offshore structure, EIC learned of a property company called Castillo Real Estate BV, based in the suburban city of Almere, across from Amsterdam on the Markermeer lake. The Netherlands’s newest city is not the most likely place to find connections to the foreign elite. Here on Guamstraat is a dentist’s surgery – Tandartspraktijk de Compagnie. Any customer who has a wisdom tooth pulled out in this clinic is experiencing such pleasure in a building owned by the son of Turkey’s prime minister. Next door to the dentist, at Number 14, are the offices of Castillo Real Estate and Zealand Shipping – two of the family’s major companies. In addition to the two buildings in Almere, Castillo owns four more properties in the country, a modest-sized apartment building in the centre of Schoonhoven, two houses on the Joseph Haydnlaan street in Utrecht, and a shoemaker’s shop in The Hague. The six properties cost the family over 2.16 million Euro – and were all paid for in cash. The seventh is also in Almere and was purchased by Erkam personally for Zealand’s manager. The real money in the operation here is on the waves: Zealand Shipping. Set up in 2007, Zealand, housed next door to the dentist’s office, was run and owned by Erkam until June 2014, when it was bought by Holland Investments Cooperatif UA. This change is cosmetic. Like with South Seas, company records in the Netherlands reveal Erkam as the man behind the new owner, and in charge of its 129.8 million USD assets. Through Holland Investment Cooperatif UA, the company records show that family also owns 30 per cent of Q-Shipping BV based in Barendrecht. The partner in this venture is Abdülvahit Şimşek, a Turkish businessman who shares an office with the Yıldırıms in Istanbul. Right now, Q-Shipping BV and its subsidiaries manage 20 ships – none of which sail under a Turkish flag. Until last year, Zealand Shipping had ten ships flying the Dutch flag. In January 2016, a Turkish conglomerate close to the Erdogan government, Kolin Group, bought two of these vessels. Today, Zealand Shipping and its subsidiaries still own eight vessels. Every one of these boast names that display rampant Turkish nationalism – the Zealand Almere, MV Zealand Amsterdam and MV Zealand Rotterdam bought new in 2012 and 2013; the MV Zealand Ariane and MV Zealand Alexia, purchased second-hand throughout 2014; MV Zealand Beatrix, MV Zealand Delilah, MV Juliana bought new in 2010 and 2011. The bill for these is not small. The Rotterdam, Amsterdam and Almere cost around 33 million Euro each to build. But Dutch records show that only the Amsterdam listed a debt, a loan of 33 million to the Kuveyt Türk Bank, a non-interest, Islamic financial institution part-owned by the Turkish government though the Directorate General of Foundations, whose director sits on the bank’s board. Another loan taken out by Zealand is for the Juliana, a dry bulk carrier, which was financed by a 17.16 million Euros from the Yapı ve Kredi Bank in Turkey. In total, three of the ships were constructed by Sefine, a shipbuilder close to Binali Yıldırım. Sefine was run until 2014 by Suat Hayri Aka, when he was forced by Turkish law to transfer his shares to his brother in order to to accept a government job. What was this position? 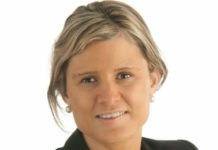 Undersecretary to the Ministry of Transport. This made him the deputy of Binali Yıldırım. May 23 2017, 10:58 p.m. Die „White Helms“, sind die aktuelle Kopf Abschneider und Terroristen Truppe des Britischen Geheimdienstes und der US Verbrecher, von dem Deutschen eingekauften Verbrecher Frank Walter Steinmeier, jährlich mit 7 Millionen € unterstützt, im Verbrechens Monopol der Deutschen KfW, des Volker Perthes, mit dem Plan: „The Day After“! Man fand identisch wie bei „AMRI“ in Berlin, diesmal in Manchester, eine Kreditkarte des angeblichen Phantom Attentäter, der real direkt wie der Vater direkt für den MI6 schon seit über 20 Jahren arbeitet, inklusive Auftrags Mord für Geld gegen Gaddafi. 1992 wurde Ramadan Abedi vom MI6 zurückgeschickt und beteiligte sich an einem Komplott der Krone, welcher darauf abzielte Muamar Gadhafi zu ermorden. Nachdem die Operation entdeckt worden war, wurde er vom MI6 ausgeschleust und in das Vereinigte Königreich verbracht, wo er politisches Asyl erhielt. Er siedelte sich 1999 in Whalley Range (Süden von Manchester) an, wo die kleine Gemeinschaft libyscher Islamisten des Vereinigten Königreiches residiert. 1994 kehrte Ramadan Abedi im Auftrag des MI6 erneut nach Libyen zurück. Er beteiligte sich Ende 1995 an der Gründung der „Groupe islamiste combattant en Libye“ (GICL) [Islamistische Kampfgruppe in Libyen], lokaler Ableger von Al-Kaida an der Seite von Abdelhakim Belhaj. Die GICL wurde schließlich vom MI6 gegen ein Entgelt von 100.000 Pfund Sterlling mit der Ermordung von Muamar Gadhafi beauftragt. 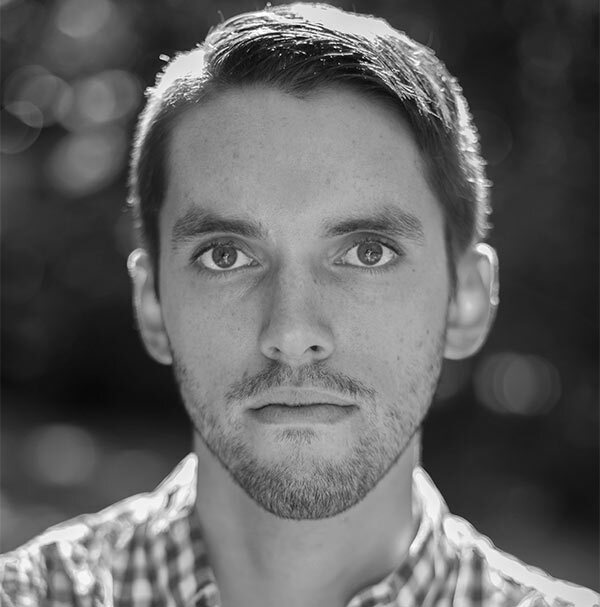 Diese Operation, welche auch scheiterte, provozierte heftige Debatten innerhalb der Dienste Ihrer Majestät, sowie den Rücktritt unseres Freundes David Shayler. Zahlreiche „alte Mitglieder“ des GICL haben ebenfalls in Whalley Range gelebt, darunter der Freund der Abedi, Abd al-Baset Azzuz. Letzterer schließt sich 2009 Al-Kaida in Pakistan an und wird einer der engsten Mitarbeiter von Chef Ayman al-Zawahiri. 2011 beteiligt er sich am Boden an der Operation der NATO gegen Libyen. Am 11. September 2012 dirigiert er die Operation gegen den Botschafter der USA in Libyen, J.Christopher Stevens, ermordet in Benghazi. Er wird in der Türkei verhaftet und im Dezember 2014 an die USA ausgeliefert, wo er auf seinen Prozess wartet. Es ist unbekannt, ob Ramadan Abedi 2005 die Mitglieder des GICL aufgesucht hat um Al-Kaida im Irak bilden und ob er, 2011, an der Operation des MI6 des „Arabischen Frühlings“ teilgenommen hat, genauso wie seine Unterstützung des GICL am Boden als Verbindungsmann zur NATO. Wie auch immer, er ließ sich nach dem Sturz Gaddafis in Libyen nieder und holte seine Familie nach, wobei er seine Enkel im Haus der Familie von Whalley Range beließ. Nach Aussage des ehemaligen spanischen Premierministers, Jose Maria Aznar, war Abdelhakim Belhaj an den Attentaten von Madrid am 11. März 2004 beteiligt. Später wurde er vom CIA heimlich in Malaisia verhaftet und nach Libyen transferiert, wo er gefoltert wird, nicht von libyschen oder US Beamten, sondern von Agenten des MI6. Er wurde schließlich nach dem Abkommen zwischen Saif el-Islam, Gaddafi und den Dhihadisten frei gelassen. Während des Libyen-Krieges kommt Belhaj, der sich in Katar im Exil befindet, in einem Jet des Emir’s zurück nach Libyen und befehligt in direkter Verbindung mit der NATO die Bodenoperationen. Am 28. Juli 2011 organisiert er die Ermordung General Abdelfattah Yunes, der vorgibt sich zu den „Rebellen“ geschlagen zu haben, dem er aber vorwarf in den 90er Jahren den Kampf gegen die GICL befohlen zu haben. Im September 2011 wird Belhaj von der NATO zum Militärgouverneur von Tripolis ernannt. 2012 gründet er, sekundiert vom Irländer Mahdi al-Haraii, die Freie syrische Armee und kommt nach Libyen zurück. Am 2. Mai 2014 wird er im Quay d’Orsay (Regierungssitz in Paris) empfangen. Im Dezember 2013, nach der Entdeckung eines Briefes seines ehemaligen Chefs vom MI6 in den Archiven der arabisch libyschen Jamahiriya, strengt er in London einen Prozess gegen das Vereinigte Königreich an, weil es ihn neun Jahre zuvor entführt und gefoltert hat. Die britischen Geheimdienste hören daraufhin seine Anwälte illegal ab und sind schließlich gezwungen diese Aufzeichnungen vernichten zu müssen. Nach dem Generalstaatsanwalt von Ägypten, Hichem Baraket, wird Belhaj im Mai 2015 der Haupt-Führer von Daesh in Nord-Afrika; eine Information, die von Interpol übernommen wird. Belhaj richtet für Daesh in Libyen drei Trainingslager, in Derna (im ehemaligen Besitz von Abd al-Baset Azzuz), in Syrte und in Sebrata ein. Im Oktober 2016 strengt er einen neuen Prozess in London an in Bezug auf seine Entführung und die erlittenen Foltern, dieses mal direkt gegen den Direktor des MI6, Sir Mark Allen. Daesh hat das Attentat von Manchester für sich reklamiert, aber ohne dabei Salman Abedi als „Märtyrer“ zu qualifizieren. Nach dem Attentat hat Ramadan Abedi, gegenüber Journalisten, die ihn anriefen, seine strikte Ablehnung des Dihad bekräftigt. Gleichfalls hat er versichert, dass sein Sohn beabsichtigte den Monat des Ramadan mit ihm in Libyen zu verbringen und dass er überzeugt von seiner Unschuld sei. Auf Bitte des Vereinigen Königreiches wurde er von einer libyschen Polizei zur Ordnung gerufen. Ramadan Abedi, der Vater von Salman Abedi, kämpfte selbst in einer islamistischen Terrorgruppe – damals noch mit dem Segen der britischen Regierung, Tripoli, Libyen 24. Mai 2017. Ramadan Abedi, der Vater des Selbstmordbombers von Manchester, ist in Libyen verhaftet worden. Abedi Senior war früher auch Mitglied in der Libysch-islamischen Kampfgruppe. Im Jahr 2007 trat sie Al-Kaida bei. Während des libyschen Bürgerkrieges kämpfte er in einer Gruppe, die sich die „Manchester Fighters“ nannte. Zu Beginn der Revolution seien damals ¾ der Kämpfer aus Manchester gewesen. Die britische Regierung wusste davon und ließ sie gewähren. Ein weiterer von Abedis Söhnen ist wegen Verbindungen zum islamischen Staat ebenfalls verhaftet worden. Medien wie die BBC und der Guardian haben bei den Gegnern Gaddafis grundsätzlich von den „Rebellen“ gesprochen. Nach der Explosion in der Manchester-Arena, heißen sie nun doch wieder Terroristen. 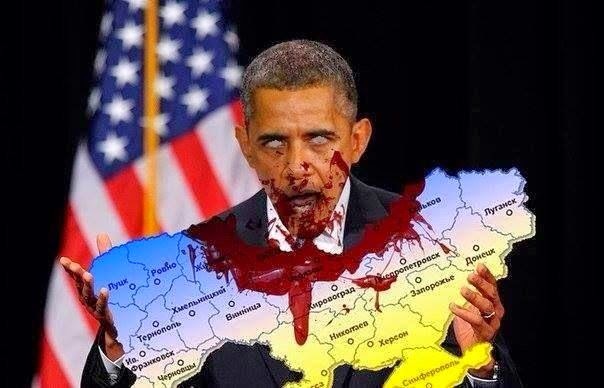 We have written extensively for months that the American neocons assisted by the British and to a lesser extent few EU vassal states have begun regime change across the Balkans to ensure puppet Governments are installed in every country. ‚Al Qaeda Bomber Worked For UK Intelligence‘ —————————————————————————(News SKY) An al Qaeda „assassin“ accused of bombing Christian churches anda luxury hotel in Pakistan was working for British intelligence at the sametime, according to leaked files.The claim about Adil Hadi al Jazairi Bin Hamlili is made in secret reportson detainees at the US military’s Guantanamo Bay prison camp obtained bythe whistleblowing website WikiLeaks(a) http://news.sky.com/skynews/Home/UK-News/Wikieaks-Files-Al-Qaeda-Operative-Accused-Of-Bombings-In-Pakistan-Worked-For-British-Intelligence/Article/201104415979146?lid=ARTICLE_15979146_WikieaksFiles:AlQaedaOperativeAccusedOfBombingsInPakistanWorkedForBritis ( b) http://www.bbc.co.uk/news/uk-13191959 British military investigator found hung in Basraby Julie HylandOctober 22, 2005World Socialist Web SiteEmail this article to a friendPrint this articleA senior British military police officer in Iraq, Captain Ken Masters, was found hung in his military accommodation in Basra on October 15.Masters was commander of the Royal Military Polices Special Investigations Branch (SIB), charged with investigating allegations of mistreatment of Iraqi civilians by British soldiers. Just before the team were about to end the surveillance mission, they were confronted by several plains-clothes Iraqi policemen. 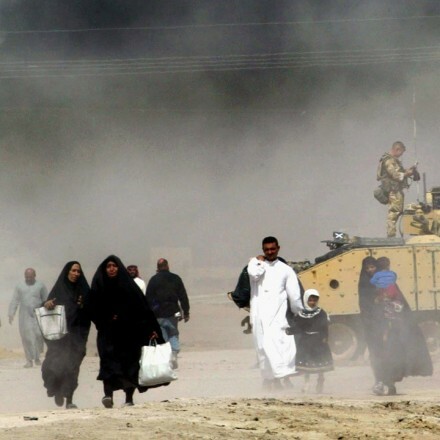 A gunfight ensued during which at least one Iraqi policeman was wounded. The SAS men tried to reach an emergency rendezvous point (ERV) but were stopped by uniformed Police who were investigating the gunfire. The SAS chose to surrender at this point. They identified themselves as British military and they were taken into custody. It was reported that the 2 soldiers were disguised as Arabs and that weapons and communications gear was found in their car. Pictures released to the media showed C8 CQB carbines, a mini para, a LAW rocket launcher, radios and medical kit. These items causes some to speculate the SAS were really on a sabotage mission, posing as terrorists and acting as agent provocateurs. 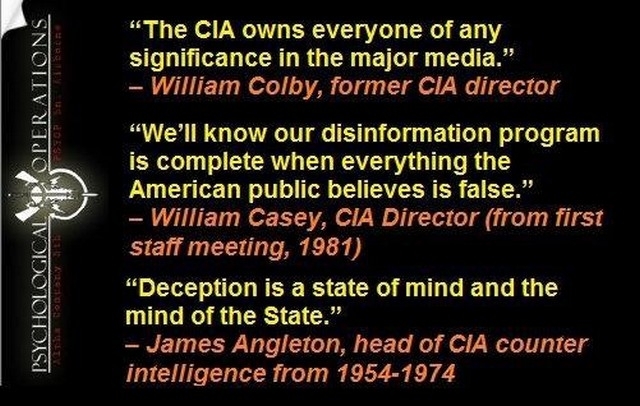 Some even went as far as to suggest that their mission was to plant bombs in order to create a ‚false-flag‘ terrorist attack. Others claim the weapons and gear are simply the standard kit carried on UKSF operationsin Iraq, and are designed to cover a range of possible eventualities. The 2 soldiers were taken to Jamait Police station. This was a concern for the British military as it was suspected that the local police had been infiltrated by various militia elements. An attempt to negotiate the men’s release had failed and when the British became aware that the 2 captured soldiers had been moved to a nearby house and were soon to be handed over to the militia, a rescue plan was put into place. Two SAS soldiers were freed from a jail in Basra under the watch of British armoured vehicles last night a few hours after they were seized by Iraqis during the worst riots in Iraq’s second city in two years. British SAS Agent Provocateurs Exposed in Basra by SIGNS OF THE TIMES (PHOTO: The REAL face of „Islamic Terror“ – Two SAS agents caught carrying out a false flag terror attack in Basra, Iraq September 20th 2005. 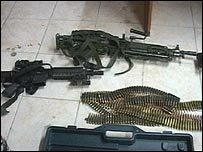 )There is a saying of sorts that „if you are going to do something, do it well“, and given the serious consequences, nowhere is that more true than when you plan to engage in criminal activity.Today in Basra, Southern Iraq, two members of the British SAS (Special Ops) were caught, ‚in flagrante‘ as it were, dressed in full „Arab garb“, driving a carfull of explosives and shooting and killing two official Iraqi policemen.This fact, finally reported by the mainstream press, goes to the very heart of and proves accurate much of what we have been saying on the Signs of the Times page for several years.The following are facts, indisputable by all but the most self-deluded:Number 1:The US and British invasion of Iraq was NOT for the purpose of bringing „freedom and democracy“ to the Iraqi people, but rather for the purpose of securing Iraq’s oil resources for the US and British governments and expanding their control over the greater Middle East. The SAS is training Libyan troops, it emerged last night. The elite special forces unit has been passing on its combat expertise to Colonel Gaddafis soldiers for the last six months. The move, another sign of the growing relationship between the UK and the oil-rich country, has appalled military veterans who recall how Libya supplied the Provisional IRA with guns and explosives to kill British soldiers. The spokesman denied there was any connection with the release of Lockerbie bomber Abdelbaset Al-Megrahi from a Scottish prison on compassionate grounds last month. 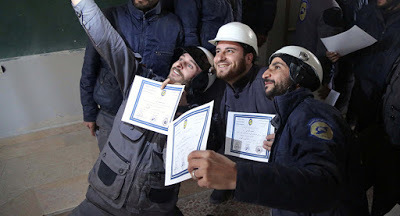 The first moves towards setting up the training agreement are believed to have begun after Tony Blair visited Libya as Prime Minister in 2004. However, the deal was only finalised and officially approved by Gordon Brown earlier this year. It is believed that a team of between four and 14 men is training the Libyans in counter-terrorism techniques, including covert surveillance. But not everything that the SAS has learned from fighting Islamic terrorism in Iraq and Afghanistan is expected to be passed on. The agreement is bound to devastate families of the Lockerbie victims and further damage relations with America. U.S. President Barack Obama told Mr Brown earlier this week of his  disappointment over Megrahis release. Senior Army officers have called it morally wrong that they have to train troops in a country which once armed the terrorists they were fighting. A Special Air Service source told The Daily Telegraph: A small SAS training team have been doing it for the last six months as part of this cosy deal with the Libyans. Samuel Oakford — 7:23 p.m. The Chilcot Report is done, but allegations of systemic abuse by British soldiers are currently being considered by a domestic investigative body as well as the International Criminal Court. Kurz vor seinem frühen Tod sagte der britische Aussenminister Robin Cook dem Parlament, dass Al Kaida nicht wirklich eine Terrorgruppe sei, sondern eine Datenbank von internationalen Freiheitskämpfern Mujaheddin und Waffenschmugglern die von der CIA ausgewählt, geführt, ausgebildet und finanziert wurde, um Kämpfer, Waffen und Geld in das von der Sowjetunion besetzte Afghanistan zu schleusen. Das erste Mal habe ich von Al Qaida (Deutsch Al-Kaida) gehört als ich einen Führungs- und Offizierskurs in Jordanien besuchte. EU, Merkel’s, Obama’s Mafia Regierung: Brasilien – Präsident Michel Temer verhandelt über kriminelle Schweigegeld-Zahlung und wird abgehört. Frank Walter Steinmeier war auch mit diesen Betrugs Gestalten in Brasilien dabei, die gewählte Präsidentin durch Kriminelle zu entmachten. Wenn man den brasilianischen Medien glaubt, so ist am vergangenen Mittwoch, dem 17. Mai, über der Hauptstadt Brasília eine “Atombombe” explodiert. Mit dieser stürmischen Überschrift bezogen sich verschiedene Tageszeitungen und Nachrichtenportale im Internet auf die in der Tat hochbrisante Beichte der Gebrüder Joesley und Wesley Batista gegenüber Richter Edson Fachin, Berichterstatter der Korruptionsermittlungen von „Unternehmen Waschanlage“ beim Obersten Gerichtshof. Ein Bericht von Frederico Füllgraf. Rüstungs Geschäfte, EADS, Frankreich, der vollkommen korrupte CIA Agent verwandt mit dem Betrüger Frank Wisner, und Bestechungs ohne Ende, wie die Deutschen U-Boot Geschäfte mit Steinmeier, Angela Merkel und Kollegen. French Submarine (Photo: Kelvin Edwards)An investigation began last October into the „corruption of foreign officials,“ according to French daily, Le Parisien, as part of a larger inquiry by Brazilian federal police dubbed Lava Jato, or Car Wash. Begun in 2014, that inquiry has looked into bribery suspicions involving hundreds of politicians and public figures. 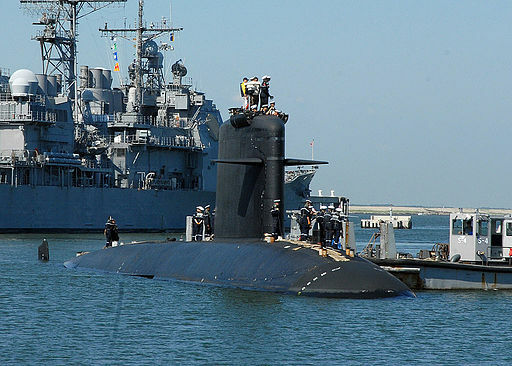 DCNS, which is 62 percent state owned, and 35 percent owned by French defense electronics group Thales SA, denies any wrongdoing. „We have nothing to do with the Lava Jato case. DCNS scrupulously respects the rules of law around the world,“ a spokesman told Reuters. Signed when French President Nicolas Sarkozy visited his Brazilian counterpart in late 2008, the contract covers the delivery of four Scorpene-class attack submarines, construction of a nuclear-powered submarine and provision of a naval dockyard in Brazil. Prosecutors are investigating possible corruption ties between the DCNS contract and Rio de Janeiro’s winning bid to host the 2016 Olympic Games which took place at the same time. The probe is developing as DCNS’s Brazilian partner, Odebrecht, is alleged to have bribed politicians to win public contracts. Last year, Marcelo Odebrecht, the company’s former chief executive, was sentenced to 19 years in prison for corruption and money laundering. Man will wie bei allen Groß Projekten beteiligt sein, agiert nur noch als Erpresser Kartell, wo Milliarden EU Gelder verschwinden. siehe TAP-Gas Pipeline, South-Stream, Windparks. Willkommene Investoren sind nur Verbrecher Staaten, wie Aserbeischan, VAE, Katar, die Saudis, Georgische und Ukrainische Mafia und Gelder der Drogen Kartelle. Pakistan ist heute ebenso der neuen „Silk Road“ beigetreten, also Millionen werden wohl an dem Projekt arbeiten, wo die wertlosen US Staatsanleihen eingesetzt werden. The Southern Gas Corridor, a system of mega-pipelines meant to bring gas from the Caspian region to Europe, is unnecessary in light of gas demand projections but will boost Azerbaijan’s dictatorial regime and cause damage to local communities and the environment. (Eigener Bericht) – Berlin und Brüssel legen China bei seinem Großprojekt „Neue Seidenstraße“ Steine in den Weg. Am gestrigen Sonntag hat die EU sich geweigert, auf einem internationalen Gipfeltreffen in Beijing mit Vertretern aus mehr als 100 Staaten, darunter 29 Staats- und Regierungschefs, eine Erklärung zu dem Projekt zu unterzeichnen. Für das Vorhaben, das den Ausbau von Verkehrskorridoren aus Ostasien nach Europa auf dem Land- sowie auf dem Seeweg vorsieht, stellt Beijing Billionensummen bereit; es gilt als eine der bedeutendsten ökonomisch-strategischen Unternehmungen der Gegenwart. An einem vergleichbaren, schon 1993 gestarteten Projekt sind Berlin und Brüssel gescheitert. China zielt darauf, neue Absatzmärkte für seine Wirtschaft zu erschließen, aber auch instabile Regionen im Westen der Volksrepublik zu stabilisieren; zudem soll die „Neue Seidenstraße“ Europa und Asien ökonomisch eng verknüpfen – ohne die Vereinigten Staaten. Diese stehen dem Vorhaben deshalb ablehnend gegenüber. Deutsche Interessen sind widersprüchlich: Während Wirtschaftskreise von einer intensiveren Kooperation neue Profite erhoffen, steht der mit dem Projekt verbundene weitere Aufstieg Chinas den machtpolitischen Interessen Deutschlands und der EU entgegen. Berlin und Brüssel verhalten sich entsprechend ambivalent. Die „Neue Seidenstraße“, offiziell meist „One Belt, One Road“ („Ein Gürtel, eine Straße“) genannt, ist gegenwärtig eines der bedeutendsten ökonomisch-strategischen Großprojekte der Welt. Der chinesische Staatspräsident Xi Jinping hat es im September und im Oktober 2013 bei Besuchen in Kasachstan und in Indonesien offiziell bekanntgemacht. „One Belt, One Road“ sieht vor, die Verkehrskorridore aus China in Richtung Westen systematisch auszubauen: zum einen auf dem Landweg über Zentralasien und Russland bzw. Iran/Türkei bis nach Europa; zum anderen auf dem Seeweg durch das Südchinesische Meer, die Straße von Malakka und den Indischen Ozean bis nach Ostafrika bzw. durch das Rote Meer und den Suezkanal ins Mittelmeer. Das Projekt, das unter anderem Straßen, Schienennetze, Hochgeschwindigkeitszüge und Häfen umfasst, soll den Handel beleben und den beteiligten Staaten dadurch ökonomisch Aufschwung bringen. Die Dimensionen sind gewaltig: Inzwischen haben sich der „Neuen Seidenstraße“ mehr als 65 Staaten angeschlossen, die rund ein Drittel der globalen Wirtschaftsleistung erbringen und mit 4,4 Milliarden Menschen mehr als die Hälfte der Weltbevölkerung stellen. Beijing hat bislang Kredite in Höhe von mehr als 800 Milliarden Euro vergeben; langfristig wird mit einem noch viel höheren Volumen gerechnet. Beijing verfolgt mit „One Belt, One Road“ mehrere Ziele. Zum einen geht es darum, Absatzmärkte für chinesische Unternehmen zu erschließen und auszubauen. Zum anderen sollen wirtschaftlich schwache, instabile Regionen insbesondere in Westchina und in Zentralasien ökonomisch gestärkt werden, um sie langfristig auch politisch zu konsolidieren; damit könnten für die Volksrepublik gefährliche Unruheherde etwa in der chinesischen Region Xinjiang sowie in den westlich an China grenzenden Ländern beseitigt werden. Überlagert wird all dies von der Tatsache, dass die „Neue Seidenstraße“ auf lange Sicht geeignet ist, Europa und Asien ökonomisch eng zu verknüpfen – und zwar ohne der Vereinigten Staaten. Washington steht dem Projekt deshalb ablehnend gegenüber. Beijing wiederum bietet den teilnehmenden Staaten eine planerische Partizipation auf sämtlichen Ebenen bis hin zu Gipfeltreffen an; die aktuelle Zusammenkunft in der chinesischen Hauptstadt ist ein Beispiel. Gleichzeitig verspricht es, seiner Praxis in den vergangenen Jahrzehnten folgend, den Verzicht auf politische Einmischung in die inneren Angelegenheiten der kooperierenden Staaten. „One Belt, One Road“ soll damit nicht zuletzt die Abkehr von der militärischen Dominanz der westlichen Mächte mit sich bringen. Das Vorhaben wird in Beijing als „Jahrhundertprojekt“ eingestuft. Wie kaum ein anderes Projekt verdeutlicht die „Neue Seidenstraße“ die Verschiebung der globalen Machtzentren weg vom Atlantik hin zum Pazifik. Vor fast einem Vierteljahrhundert, im Mai 1993, hatte die EU in der politischen Aufschwungphase nach dem Ende des Kalten Kriegs auf deutsches Drängen ein Vorhaben gestartet, dessen Ziel es war, die Transportkorridore zwischen Europa und Asien auszubauen. Das EU-Projekt TRACECA (Transport Corridor Europe-Caucasus-Asia), das ebenfalls „Neue Seidenstraße“ genannt wurde, zielte darauf ab, die Verkehrswege aus Europa nach Zentralasien sowie womöglich weiter nach China auszubauen – und zwar zwischen Russland und Iran hindurch, also über den Kaukasus und durch das Kaspische Becken; es ging darum, deutsch-europäischen Konzernen Zugänge zu den zentralasiatischen Rohstoffen und zum ostasiatischen Markt zu öffnen, die weder über russisches noch über iranisches Territorium führten. TRACECA, das von Berlin und Brüssel zeitweise mit großspuriger PR vorangetrieben wurde , hat keine nennenswerten Ergebnisse hervorgebracht. Unter chinesischer Führung hingegen schreitet der Ausbau der eurasischen Verkehrskorridore, an dem Deutschland und die EU gescheitert sind, nun mit bemerkenswertem Tempo voran. „One Belt, One Road“ besitzt für das bundesdeutsche Establishment eine ambivalente Bedeutung. Einerseits haben deutsche Unternehmen ein starkes Interesse daran, den Austausch mit China, dem wichtigsten Handelspartner der Bundesrepublik, weiter auszubauen. Im vergangenen Jahr hieß es deshalb auf einer hochkarätig besetzten Wirtschaftskonferenz in Berlin, die „Neue Seidenstraße“ werde „mehrheitlich positiv eingeschätzt“. Der konkrete Nutzen lässt sich an Einzelbeispielen verdeutlichen. So profitiert der Duisburger Hafen, der größte Binnenhafen Europas, stark davon, dass dort inzwischen 25 Containerzüge pro Woche aus China ankommen; es sollen noch viel mehr werden. Die Fahrtzeit ist bereits jetzt mit 16 bis 19 Tagen nur noch halb so lang wie die Fahrt auf dem Seeweg; sie soll mit dem Ausbau der Strecke auf acht Tage reduziert werden. Duisburg könne „Chinas Tor zu Europa“ werden, heißt es bereits. Mittlerweile nutzen Konzerne wie BMW die Option, Autoteile per Zug aus Deutschland in chinesische Fabriken zu transportieren; die Deutsche Bahn AG führt solche Transporte gewinnbringend durch. Das ökonomische Interesse hat dazu geführt, dass die Bundesrepublik sich an der Asian Infrastructure Investment Bank (AIIB) beteiligt, die zur Jahreswende 2015/16 in Beijing eröffnet wurde und zu den Hauptfinanziers von „One Belt, One Road“ zählt. Andererseits bringt „One Belt, One Road“ neue Konkurrenzlagen in Europa hervor. Bekanntestes Beispiel ist, dass die „China Ocean Shipping Company“ (COSCO) 2009 begonnen hat, Anteile am Hafen von Piräus zu übernehmen; mittlerweile verfügt sie dort über starken Einfluss. Piräus ist für Schiffe, die aus China kommen und durch den Suezkanal ins Mittelmeer einfahren, die erste Anlaufmöglichkeit in Europa; Beijing hat den dortigen Hafen deshalb zu einem Ziel der Seeroute der „Neuen Seidenstraße“ gewählt. Inzwischen haben Unternehmen wie etwa HP, die Computer in China endmontieren, ihren Europavertrieb aus anderen Hafenstädten wie Rotterdam nach Piräus verlegt; sogar aus dem Hamburger Hafen sind jetzt Konkurrenzängste wahrzunehmen. Darüber hinaus hat Beijing begonnen, nicht nur in Griechenland, sondern auch in anderen Staaten Ost- und Südosteuropas Infrastrukturmaßnahmen anzuschieben, die geeignet sind, Chinas dortigen Einfluss deutlich zu vergrößern – und den deutschen Einfluss in Europa zu mindern. Dies läuft dem machtpolitischen Interesse Berlins ebenso zuwider wie die Tatsache, dass die „Neue Seidenstraße“ geeignet ist, Chinas Einfluss auch in der Weltpolitik weiter zu stärken; der große Rivale steigt ungebrochen auf. Entsprechend ambivalent verhalten sich Berlin und Brüssel aktuell in Beijing. Bundeskanzlerin Angela Merkel ist zu dem heute zu Ende gehenden Gipfeltreffen eingeladen worden, jedoch nicht angereist, um es nicht weiter aufzuwerten; in abwertender Absicht heißt es in deutschen Medien, in der chinesischen Hauptstadt finde derzeit ein Gipfeltreffen mit „Putin und Erdoğan“, den aktuellen Hauptfeindbildern Berlins, statt. Deutsche Wirtschaftsinteressen werden in Beijing zwar von Bundeswirtschaftsministerin Brigitte Zypries vertreten. Zugleich hat die EU aber erklärt, die geplante gemeinsame Erklärung nicht unterzeichnen zu wollen. Vorgeschoben werden Differenzen bei Umwelt- und Sozialstandards. Tatsächlich droht Brüssel damit Beijings Großprojekt zumindest punktuell zu schädigen. Diese Doppelstrategie macht es möglich, wirtschaftlichen Profit mit dem Bemühen zu vereinen, China politisch einzudämmen – und auf diese Weise ökonomische wie machtpolitische Interessenten in Deutschland gleichermaßen zu bedienen. S. dazu Die Neue Seidenstraße (I) und Die Neue Seidenstraße (II). S. dazu Die Neue Seidenstraße. ���, Albanian organised crime has reached the United States, creating partnerships with the Gambino, Genovese, and Luchese families to facilitate specific crimes.���. HILLARY and Bill Clinton have sensationally been branded a „crime family“ by a former assistant FBI director. Das Erpressungs Kartell, der Hillary Clinton Stiftung, wurde praktisch inzwischen geschlossen, aber allein die Tätigkeit bei Lockheed & Martin, eines der grössten Betrugs und Bestechungs Firmen der Welt ist schon peinlich genug, wo James Comey, nochmal 6 Millionen $ erhielt. Diese Gestalten, wollen ja die Polizei Weltweit aufbauen auch im Balkan, lebten viele Jahre damit, das man Beweise fälschte, oder selber erpresste. Obama, liess Donald Trump über den Britischen Geheimdienst abhören, der inzwischen zurücktrat. Korrupte Deutsche Politiker, wie Steinmeier, Angela Merkel aktiv dabei, um US Politiker zumobben. Verbrecher Kartell regieren die Welt! There is no evidence that FBI Director James Comey financially benefited from Bill and Hillary Clinton’s charitable foundation. FBI director James Comey benefited financially from the Clinton Foundation and was therefore biased when he investigated Hillary Clinton’s e-mail scandal. FBI Director James Comey has worked for some organizations that have donated to or partnered with the Clinton Foundation. There’s no proof that Comey directly benefited from any of his employers‘ relationships with the Clinton Foundation. On 10 September 2016, the Breitbart web site posted a story delineating a set of alleged financial ties between FBI Director James Comey and presidential candidate Hillary Clinton, whom the Bureau had investigated for using a private server to handle sensitive e-mails in her capacity as secretary of state. Federal prosecutors ultimately declined to file charges, which has inspired accusations of bias on the part of Comey. Although the article from Breitbart (masters at using incomplete and misleading information to suggest improper financial ties and relationships where none exist) didn’t provide any “smoking gun” showing that Comey was personally involved with any of his previous employers’ doings with the Clintons’ charitable foundation, the story has been picked up and spread through the conservative blogosphere with headlines asserting Comey was essentially bribed to clear Clinton of criminal actions. The Breitbart article linked Comey to the Clinton Foundation through a series of circumstances without ever coming close to proving that Comey received money directly from Bill and Hillary Clinton’s charitable foundation. It also hinted at malfeasance on the part of Comey’s brother, Peter, who is employed in some capacity by the global law firm DLA Piper. DLA Piper reportedly performed an independent audit of the Clinton Foundation, yet Breitbart doesn’t document that Peter Comey had anything to do with the audit. The story moved on to Comey’s joining the board of London-based bank, HSBC, in 2013 and how HSBC had “partnered with Deutsche Bank through the Clinton Foundation to ‘retrofit 1,500 to 2,500 housing units, primarily in the low- to moderate-income sector’” in New York. The story also cited a Washington Examiner article that stated the DLA Piper firm performed an audit on the Clinton Foundation and was a Foundation donor as well. The Breitbart story failed to document that James Comey’s brother was involved in (or had any tangible connection to) DLA Piper’s independent audit of the Clinton Foundation. If the story’s own statement that Peter Comey works as “Senior Director of Real Estate Operations for the Americas” is true, it doesn’t seem likely he would have taken part in the auditing of a charitable foundation. It also doesn’t explain how James Comey would have had a vested interest in the outcome of the FBI’s investigation of Hillary Clinton. The article went so far as to note that James once lent his brother money for a home mortgage but didn’t provide any remotely credible explanation for how a loan between siblings would suggest any form of wrongdoing. 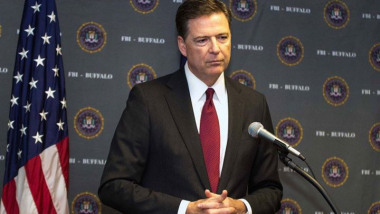 The story implied that James Comey’s once having worked for organizations that were donors or had partnered with the Clinton Foundation in some capacity was proof enough that he was biased in favor of Hillary Clinton when his bureau investigated her for her mishandling of sensitive information, and it alleged a conflict of interest due to his brother’s employment in a large law firm that audited the Clinton Foundation. But the evidence offered in support of those charges was nothing more than extremely questionable supposition based on a weak form of guilt by association — all based not on any actual investigation, but on simply collating information deftly “hidden” by the alleged conspirators in online news stories and the Clinton Foundation’s own web site. 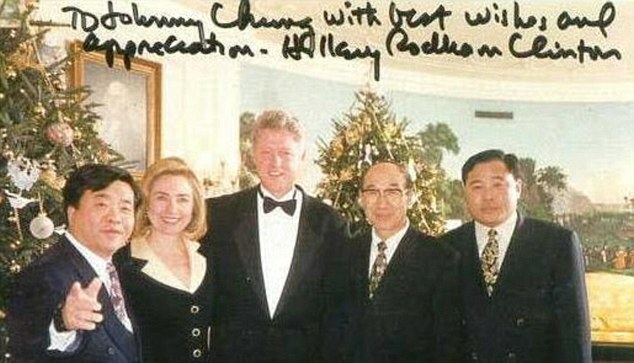 Mord, illegale Wahlkampf Spenden werden erpresst, vor allem auch von der Saudi Terror Mafia: Die Clinton Mafia, hier mit einem Chinesen, der seine Ermordung fürchtete und Ermordung durch die Clintos, wo es viele Tode gab aus dem engsten Umfeld. Die Hillary Mafia Maschine mit Mord ist Vorbild für die Albaner als Leitfigur der Gambino Clan und seit 15 Jahren bekannt und mit den Deutschen Politkern wie Steinmeier, Westerwelle als Partner auch mit Verbrechern in Afrika und in Nah Ost. BOOM: HILLARY CLINTON Transfers $1.8 Billion to QATAR Central Bank „STUNNING“ Western Bankers ! Die Familie des FBI Direktors James Comey, profitierte direkt von der Hillary Clinton Foundation, einem Erpressungs Kartell. Man war dort James Comey, kassierte Millionen von Lockhed & Martin, eines der grossen Betrugs- Rüstungs Firmen, welche Milliarden an Bußgelder schon zahlen mussten. Damit war James Comey, automatisch Mitglied des grössten US Mafia Clans: Gambino, welche direkte Verbindungen und Partnerschaften mit den Clintons haben. 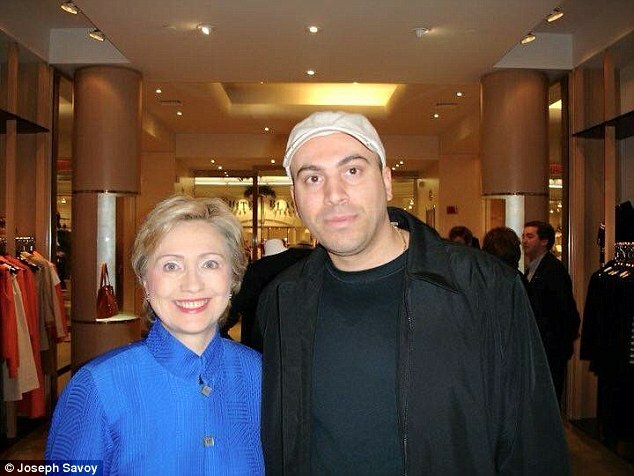 Hillary Clinton met with a Mafia heir who asked for his drug kingpin father to be released early from prison in exchange for votes, it has been revealed. The former First Lady met Giovanni Gambino, the son of Francesco ‚Ciccio‘ Gambino and the cousin of Carlo Gambino – the boss of the notorious crime family and one-time head of the American Mafia – while she was campaigning in the the presidential primary in 2007. The Democratic front runner spoke to the crime author, who recently made headlines for saying he would protect New York from ISIS, at one of his pizzerias in Charleston, South Carolina. The 41-year-old’s father, who was serving a 30-year prison sentence at the time, suggested he contact Clinton to see if she could help with his early release through a presidential pardon. He also wanted the pair to discuss over-populated prisons – a policy she has championed in her latest presidential bid. 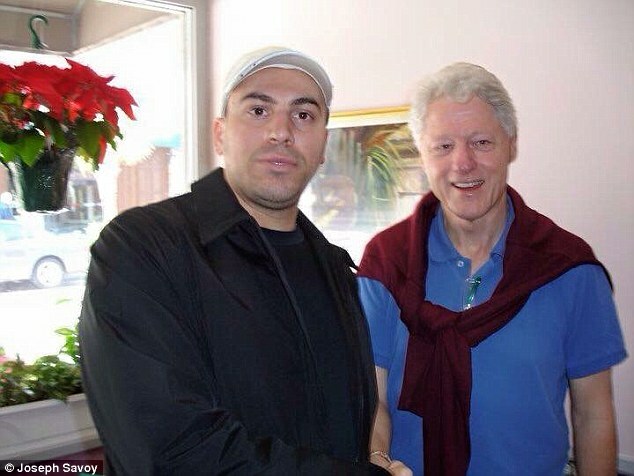 Clinton agreed and the pair met during her unsuccessful run for the 2008 Democratic nomination, and even posed for a picture with the mobster’s son. Giovanni, who has also served time in a New York state prison, also got the chance to pose with her husband Bill for a picture. ‚When it has something to do with your family, you never forget it. She might have forgotten about it. She probably hears stories like that every day,‘ he said. He told Hillary that his father was given 20 extra years, just for being a Gambino, while the pair joked that the problem of over-crowding wouldn’t be solved until the whole of America was behind bars. Despite his intentions for the meeting, Giovanni’s father passed away in prison before Clinton could act. During his trial in 1987, prosecutors claimed Francesco Gambino was the leader of the Sicilian Mafia drug network. He was part of the same family business set up by his cousin Carlo. Born in Sicily, Carlo immigrated to the United States in 1921 as a ship stowaway, settling in Brooklyn and becoming a gang member under Joe ‚the Boss‘ Masseria. He then worked for Salvatore Maranzano, Philip and Vincent Mangano, and finally, from 1951, Albert Anastasia. He inherited the crime syndicate when Anastasia was murdered. In 50 years of crime Carlo only served 22 months in prison. He was indicted for hijacking in 1970 and an order for his deportation was upheld in the same year, but severe heart attacks deferred trial or deportation. More heart seizures led to his death by natural causes six years later. Francesco was convicted as part of a massive drug round-up in the United States and Italy alongside fellow mafiosos Salvatore Mannino, Antonio Mannino, Grace Mannino and Enzo Varisco. 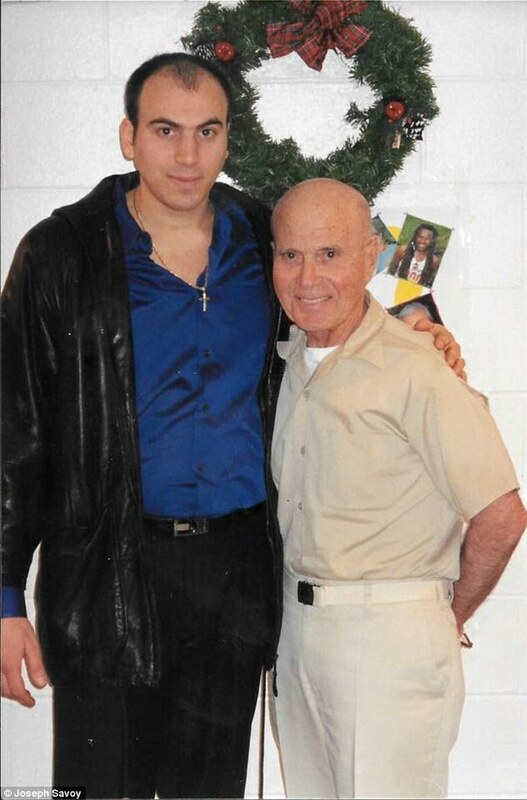 Giovanni was just 14 when his father was sentenced to 30 years in prison………………………………. Das Geschäfts Modell könnte sich nicht einmal die „Camorra“ und „Nghradeta“ ausdenken, so hoch korrupt und kriminell ist das Modell, wo die Osterweiterung und die Zerstörung der Bildung, Wirtschaft im Balkan, Ost Europa und in der Welt ebenso dazu gehört mit den Privatisierungen. Alles bezahlte Georg Soros Ratten und von Mafiösen Think Tanks, Steuer finanziert mit Gehirnwäsche versehen, denn Verstand braucht man heute nicht mehr als Politiker, oder Deutscher Aussenminister. Mentor, für ausländische Verbrecher Banden, welche ihre Traditionellen Raubzüge nach Europa ausdehnen können, wie es früher die „Hunnen“ und „Vandalen“ schon machten. Höhepunkte in Deutschland, waren kriminelle und Hirnlose Schulleitungen aus der Grünen und Roten Müll Tonne, wenn man Schüler (nur weibliche natürlich) mit Migranten (nur männliche) zu Festen und Meetings, Workshops einlud, wo Lehrer eine Zuhälter Rolle einnahmen, für minderjährige und naive Schülerinnen, auch rund um die absurde „Gender“ Politik, der Abzocker einer angeblichen Bildungs Politik. SPD Hofschranzen Club in NRW, ein Langzeit Unternehmen. Immer mehr Details werden bekannt, wie man als Lehrmeister der Mafiösen Klientel Politik auch für das Ausland, Alles manipuliert, herum lügt wo man viel Erfahrung hat, was man sich zusammen fälscht, wie das Auswärtige Amt, ebenso von den Hofschranzen gründlichst ruiniert wurde. Im Solde ausländicher Mächte, wie die Prominenz der US Medien schreibt, denn kapieren können diese Hofschranzen, ihre eigenen Umtriebe schon lange nicht mehr. Die gehören ganz einfach hinter Gittern und aus dem Verkehr gezogen. „Weitere Datenerhebung ist rechtlich nicht zulässig. Intern wie extern muss jede Einstufung vermieden werden, die zur Abwertung von Menschen missbraucht werden könnte. Insofern verbietet sich aus polizeilicher Sicht auch die Verwendung des Begriffs ‚Familienclan’“, so Jäger. Mittelmeer-Mission: Kurz will „NGO-Wahnsinn beenden“ von Deutscher Seite hört man Nichts, denn man stiehlt gemeinsam hohe Millionen Summen unter Anleitung der SPD Mafia. Im Solde krimineller Georg Soros Banden, einer fremden Macht. Oft wegen Mangel Ernährung in der Kindheit, auch Gehirn geschädigt, im Bereich „functional illerate“ und weil die Eltern keine Bildung hatten. Aydan Özoğuz, wo der Polizei Gewerkschaft Sprecher Wendt sagt, die schwätzt nur dummes Zeug, aber wie kommt sowas in solche Stellungen. Die Integrationsbeauftragte der Bundesregierung will Ausländer wählen lassen. Mit diesem Vorschlag geht die SPD auf Stimmenfang – und greift das große Ganze an. Inkompetenz der Peinlichkeit, mit der Allgemeinbildung einer Kakerlake.Sprecherin der Hirnlosen Banden des Frank Walter Steinmeier: Körper Sprachen Analyse. Andere Presse Konferenzen, wo man in einem Verblödungs Film, Nichts weiß, sich nicht vorbereitet hat, typisch „functional illerate“. Naive Kinder Vorstellungen bei Pelzig. Das Land der Kinder Heiraten, Null Bildung, der AA Regierungs Sprecherin: Sawsan Chebliaus: Palästina, Schwuchtel Joschka Fischer, versenckte schon viel Geld dort, mit der Arafat Mafia. Kindergarten Niveau heute als Regierungs System in der PR. Den gesamten Artikel gibt es hier. Zwar hatte ich einen eigenen Artikel zu der Sache geplant, doch wäre der mit Sicherheit nicht so diplomatisch formuliert worden. Es geht hier um nichts anderes als die Schaffung von de facto Enklaven für Mohammedaner und die Abschaffung der freiheitlich-demokratischen Grundordnung. In Deutschland setzte der Tunesier nicht nur seine kriminelle Karriere nahtlos fort, sondern unternahm auch sonst alles, um im radikalislamistischen Milieu Fuß zu fassen. Wirklich der Richtige als Bundespräsident? Im Anschluss an den verweigerten Glückwunsch breitete Steinmeier seine Sorgen und Befürchtungen, die sich mit einem US-Präsidenten Trump verbinden, öffentlich aus. Das ist töricht, kurzsichtig und unprofessionell. SPD-Landtagsabgeordneter verdient an leerem Flüchtlingsheim 125.000 Euro pro Monat! Jörg Heydorn ist Sozialexperte der SPD und sitzt im Schweriner Landtag. Jörg Heydorn ist aber auch Unternehmer. Ihm gehört die Firma Comtact – Gesellschaft für Dienstleistungen, Infrastruktur und Bauten mbH.Diese Firma bietet soziale Dienstleistungen an – vom betreutem Wohnen über einen Pflegedienst bis hin zur Gebäudepflege. Seit Oktober 2015 betreibt die Firma von Jörg Heydorn aber auch eine Notunterkunft für Flüchtlinge in der Schweriner Werkstraße. Für diese Unterkunft bekommt er vom Land Mecklenburg-Vorpommern 125.000 Euro. Jeden Monat. Schwerer Vorwurf gegen einen SPD-Ratsherrn aus Cloppenburg: Adem Ortac steht in Verdacht, in 18 Fällen Dokumente des Bundesamtes für Migration und Flüchtlinge gefälscht zu haben. Die Staatsanwaltschaft Oldenburg ermittelt. Cloppenburg Wegen des Verdachts des gewerbsmäßigen Betrugs in Tateinheit mit Urkundenfälschung in 18 Fällen ermittelt die Staatsanwaltschaft Oldenburg gegen den Cloppenburger SPD-Fraktionschef Adem Ortac (38). Die Staatsanwaltschaft bestätigte auf Anfrage, dass sie ein entsprechendes Verfahren gegen einen Cloppenburger Rechtsanwalt führt. Der Jurist und Fraktionsvorsitzende der SPD im Cloppenburger Stadtrat soll Aufnahmebescheide des Bundesamtes für Migration und Flüchtlinge (Bamf) gefälscht und für Beträge zwischen 3000 und 5000 Euro pro Papier an „ausländische Personen im Ausland“ verkauft haben. Aufgrund ihrer bisherigen Erkenntnisse hält es die Staatsanwaltschaft für möglich, dass sich der Beschuldigte durch sein rechtswidriges Handeln zusätzliche Einkünfte „von einiger Dauer und einigem Umfang“ verschaffen wollte. Eine Einreise mit den gefälschten Aufnahmebescheiden sei den Betroffenen in der Folgezeit nicht möglich gewesen. Das war nach bisherigem Ermittlungsstand mutmaßlich dem Beschuldigten – im Gegensatz zu den Betroffenen – auch bewusst, so die Staatsanwaltschaft. Gegen Ortac hat das Amtsgericht Oldenburg bereits am 2. Februar ein vorläufiges Berufsverbot verhängt. Unter Verweis auf die laufenden Ermittlungen in diesem Verfahren teilte die Staatsanwaltschaft keine weiteren Details mit. Ein vorläufiges Berufsverbot wird in der Regel nur verhängt, wenn es gute Gründe dafür gibt, dass daraus ein dauerhaftes Berufsverbot werden kann. Das hat Rechtsanwalt Jan Kramer, Pressesprecher der Anwaltskammer Oldenburg, betont. Bei serienmäßiger Beihilfe zum Sozialbetrug, wie sie im aktuellen Fall offensichtlich vorliege, hält er einen solchen Ausgang „für nicht ganz unwahrscheinlich“. Für die Dauer des Verfahrens, darauf verwies Kramer, wurde Ortac aus dem Anwaltsregister gestrichen. Die Kammer hat ihm einen Vertreter gestellt. Dieser nimmt Ortacs laufende Mandate wahr. Arbeitet der Beschuldigte trotzdem als Rechtsanwalt, zieht das – laut Kramer – für ihn „schwerwiegende Folgen“ nach sich. Ist ein Urteil in dem Strafverfahren gefällt, prüft die Kammer in einem nächsten Schritt mögliche berufsrechtliche Folgen. Im äußersten Fall kann das die Aberkennung der Zulassung des 38-Jährigen bedeuten. Die von Ortac gegen das vorläufige Berufsverbot eingelegte Beschwerde hat das Landgericht Oldenburg per Beschluss am 9. März als unbegründet verworfen. Ortac selbst war für eine Stellungnahme nicht erreichbar. Offensichtlich kalt erwischt hat der Fall die Cloppenburger SPD….. In Duisburg habe die immer weiter um sich greifende, von Migranten aus dem Nahen Osten und dem Balkan verübte Kriminalität Teile der Stadt zu „No-go-Areas“ für die Polizei gemacht, heißt es in einem vertraulichen Polizeibericht, der dem Spiegel zugespielt wurde. Original Bundestag Bericht der Deutschen Regierung, wo man sich als Super Schleuser Organisation vorstellt, wo Dumm Kriminellen sogar weitere Schleuser Netzwerke finanziert werden, um Bildungs lose Afghanen nach Deutschland zuholen, welche in der Heimat schon zu dumm waren für jeden Beruf. Das LKA habe deshalb vorgeschlagen, eine Abschiebung des Tunesiers anzuordnen. Diese kam allerdings nie in Kraft. Das Innenministerium in NRW kam dabei zu dem Schluss, dass solche Maßnahmen rechtlich nicht durchsetzbar seien. Sogar nach dem Berliner Anschlag äußerte sich der nordrhein-westfälische Innenminister Ralf Jäger mehrmals, dass es rechtlich nicht möglich gewesen sei, Amri abzuschieben. Regel auf zunächst zwei Jahre befristet und ist verlängerbar. Wenn Sie sich fragen, warum Sie als kritisch denkender Bürger, der gegen Asylbetrug und illegale Zuwanderung argumentiert, immer die gleichen Vereine als Gegner haben, warum der örtliche Sportverein auf einmal auf der Asylwelle mitschwimmt oder warum der Jugendclub vor Ort nur noch für „umA“ (unbegleitete minderjährige Ausländer) offensteht, dann hat das einen Grund – sie wurden ganz einfach gekauft. Wir zeigen Ihnen die absurdesten und unglaublichsten Fälle aus Sachsen. Sie kommen nicht aus heiterem Himmel, sondern erwachsen aus dem Unmut der Bürger über die unkontrollierte Masseneinwanderung, über die staatliche Behörden längst keine Verfügungsgewalt mehr haben. Die jüngsten Wahlergebnisse und Umfragewerte bereiteten den Regierenden daraufhin immer mehr Sorge und man reagierte auf die einzige Weise, die man wirklich beherrscht – mit Bestechung. Wer den Bestechungsvorwurf für übertrieben oder „populistisch“ hält, sollte sich die Antwort auf die AfD-Anfrage mit der Drucksache 6/6913 aus dem Sächsischen Landtag anschauen, die sich nach der Mittelvergabe für Integrationsmaßnahmen für Asylbewerber und Migranten erkundigt. Immerhin wurden im Freistaat 6.837.818,49 Euro Steuergelder an Vereine und Initiativen bewilligt, die sich angeblich für die Förderung von Flüchtlingen einsetzen. Beantragt wurden hingegen 29.175.494,52 Euro. 1. Das umstrittene Kulturbüro Sachsen will 158.208,29 € für ein „Projekt zur Bildung von Strukturen für die Unterstützung von Privaten, Verbänden, Vereinen etc., die sich solidarisch mit geflüchteten Menschen erklären und ihre Unterstützung anbieten.“ [Fehler im Original] Was das heißt, kann sich jeder denken. 2. Das ebenfalls bei Innenpolitikern aufgrund seiner linken Bündnispartner umstrittene NdK Wurzen will über 40.000 € für ein ominöses „Unterstützernetzwerk“ abgreifen. 4. Der Verein Dresden für Alle behauptet immer wieder, daß PEGIDA Arbeitsplätze in der Landeshauptstadt gefährdet. Wenn man sich die Daten aus dem Staatsministerium anschaut, dann weiß man auch, daß vor allem die eigenen Jobs damit gemeint sind. Denn der ausgesprochen linke Verein will allein 138.800 € Steuermittel aus dem Landeshaushalt kassieren. Weitere Zuschüsse aus anderen staatlichen Quellen sind hier noch nicht berücksichtigt! Diese Aufzählung der Mittel an Vereine mit zweifelhaftem Ruf läßt sich leider beliebig fortsetzen: Das Antidiskriminierungsbüro Sachsen e.V. will fast 160.000 € u.a. für eine Umfrage unter „Diskriminierten“. Die Landesarbeitsgemeinschaft politisch-kulturelle Bildung Sachsen e.V. macht sich gegen „Rassismus“ stark und beantragt dafür fast 142.000 € Steuergelder. Die linke Aktion Zivilcourage Pirna möchte auch was vom Integrationstopf abgreifen und beantragt für ihr Projekt fast 70.000 €. So zieht sich die lange Liste der politisch korrekten Geldwünsche mit linksradikalem Einschlag bis in die kleinsten sächsischen Orte. Denn auch das winzige Alternative Jugendzentrum Leisnig will für seine „Integrationsarbeit“ unglaubliche 12.000 €. Es finden sich unter den Steuermittelempfängern neben linken Strukturen auch allerhand Kuriositäten. Oder wußten Sie, daß die Firma Märchenland – Deutsches Zentrum für Märchenkultur gGmbH aus Berlin für das Vorlesen von Märchen in Sachsen anscheinend unglaubliche 133.035 € braucht? Oder daß die Verkehrswacht Dresden fast 50.000 € für die „Fahrradausbildung für Migranten“ abrechnen will? Nach Märchen und einer Runde mit dem Fahrrad bekommt man sicher Hunger – kein Problem, denn Anika Preuße aus Dresden bietet mit ihrem Verein mehrere „interkulturelle Brunche“ an und möchte dafür nur 16.500 € vom Steuerzahler. Freilich ist das nichts im Vergleich zu den fast 850.000 €, die der Palais Sommer für ein „Musikfestival für kulturelle Integration“ beantragt. Die Antwort aus dem Ministerium für Soziales und Verbraucherschutz löst aber auch andere Rätsel. Wer sich gefragt hat, warum das Staatsschauspiel Dresden immer so vehement gegen asylkritische Bürgerinitiativen und PEGIDA auftritt, der sollte ebenfalls in das Schreiben aus dem Sozialministerium schauen und wird feststellen, daß der Förderverein Staatsschauspiel Dresden e.V. 58.300 € haben möchte, um das Theater als Begegnungsstätte anbieten zu können. Aber auch viele Sportvereine schwenken beim Thema Asyl um und wollen mit den Geldern aus der Integrationsarbeit ihre Haushaltslöcher stopfen. So veranschlagt das Schwimmteam Erzgebirge e.V. u.a. für ein „integratives Badefest“ und Kurse 135.600 €. Aber auch kleinere Vereine wie der FC Eilenburg wollen richtig zuschlagen und Mittel einstreichen. Unter dem knappen Hinweis auf Integrationsprojekte beantragt der Verein 51.470 €. Nur zwei von unzähligen Beispielen aus dem Sportbereich. Die Liste der Bittsteller ließe sich ewig fortführen. 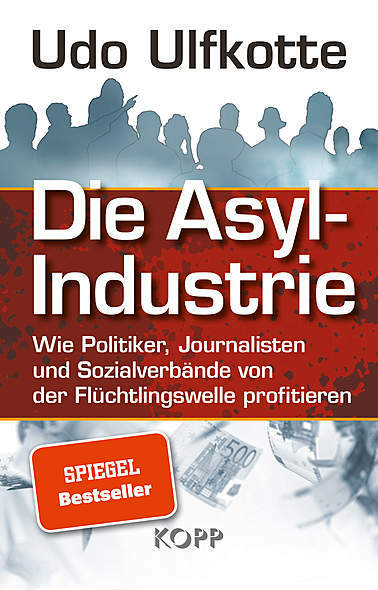 Vereine wie die AWO, Kirchenorganisationen, Stadt- und Kreisverwaltungen, Bibliotheken und wollen sich über die Asylkrise und durch zusätzliche Steuergelder konsolidieren. Diese wenigen Beispiele sind nur ein kleiner Teil der Projekte, die sich hinter der Kostenstelle „Integrationsmaßnahmen für Asylbewerber und Migranten“ im aktuellen Haushalt des Freistaates Sachsen verbergen. Andere staatliche Quellen auf Landes-, Bundes- und Europaebene stehen den Vereinen ebenfalls zur Verfügung, um die Kritik an der Asylpolitik mit Geld zu ersticken. Wenn Sie das nächste Mal ein Vereins- oder Politfunktionär maßregeln möchte, weil Sie kritisch Ihre Meinung äußern, dann erkundigen Sie sich bitte, mit wieviel Geld diese Haltung wohlmöglich erkauft wurde. Flüchtlingsheime bis 2042 vermietet, reine leer Gewerbe Immobilien, welche man extra zuvor kaufte. 54 % aller Flüchtlingsheime wurden nie gebraucht. Als Sozialdemokrat ein Geschäft mit der Asyl-Unterbringung machen – warum nicht? „Eine Interessenkollision sehe ich für mich nicht“, sagt Ratsherr Arndt Gabriel. Er hat der Stadt für zehn Jahre die im Hintergrund zu sehenden Gewerbebauten an der Münchener Straße vermietet – und den Deal frühzeitig transparent gemacht. Mehr als die Hälfte der Flüchtlingsunterkünfte in Deutschland steht leer. Laut einer Frontal 21-Umfrage bei allen Innenministerien der Länder beträgt die Leerstandsquote durchschnittlich 54 Prozent. Mehr als die Hälfte der Flüchtlingsunterkünfte in Deutschland steht leer. Laut einer „Frontal 21“-Umfrage bei allen Innenministerien der Länder beträgt die Leerstandsquote durchschnittlich 54 Prozent. In den Flüchtlingseinrichtungen des Landes Thüringen sind sogar 88 Prozent aller Betten ungenutzt, die höchste Auslastung hat Berlin mit 21 Prozent Leerstand. Der Bund der Steuerzahler rügt Fehlplanungen und Organisationschaos in einigen Ländern. Im Fall von Nordrhein-Westfalen wirft er der Landesregierung sogar „skandalöse Steuerverschwendung“ vor, wie etwa bei Laufzeiten von Verträgen für gepachtete Immobilien zur Flüchtlingsunterbringung. So wurden 21 Mietverträge mit Laufzeiten von mehr als zehn Jahren abgeschlossen, elf davon dauern länger als 15 Jahre. In zwei Fällen laufen die Verträge bis zu den Jahren 2041 und 2042. Einige Länder argumentieren mit einer Notlage zur Hochzeit der Flüchtlingskrise, in der man innerhalb weniger Tage Wohnraum anmieten musste. Doch die Verantwortlichen der Stadt Düsseldorf haben dafür kein Verständnis: „Auch wir waren damals in einer akuten Notlage, und der hart umkämpfte Düsseldorfer Wohnungsmarkt hatte damals und auch heute kaum verfügbaren Wohnraum“, sagt die Düsseldorfer Flüchtlingsbeauftragte Miriam Koch. Aber der Stadt sei es trotzdem gelungen, lange Mietlaufzeiten zu vermeiden. Außerdem habe man eigene Unterkünfte auf städtischen Grundstücken errichtet. Koch betont, dass Düsseldorf heute keinerlei Leerstand in den kommunalen Flüchtlingseinrichtungen hat. Frontal 21 berichtet, wie fehlgeplante Flüchtlingshilfe zur Verschwendung von Steuergeldern führt. Essen. Weil der SPD-Ratsherr Arndt Gabriel der Stadt zwei Bürobauten in Holsterhausen als Asylheime vermietet, sieht er sich in der Partei kritischen Vorwürfen ausgesetzt. Und erfährt ein schier unglaubliches Angebot. Der Katernberger SPD-Ratsherr Arndt Gabriel steht unter schwerem Druck, weil er zwei von ihm erworbene große Gewerbeimmobilien an der Münchener Straße in Holsterhausen als Flüchtlingsunterkünfte an die Stadt vermietet hat. Parallel hat er sich jedoch im Essener Norden, wo er gewählt wurde, zeitweilig als scharfer Kritiker der deutschen Asylpolitik und als Mahner vor zu hohen Flüchtlingszahlen profiliert. Dies focht ihn bei seinen geschäftlichen Interessen allerdings nicht an: Am 6. April dieses Jahres wurde ein zehnjähriger Mietvertrag mit der Stadtverwaltung unterzeichnet, die voraussichtlich ab September in Gabriels Gebäuden auf 5960 Quadratmetern 449 Flüchtlinge unterbringen will – für 600.000 Euro Miete pro Jahr. Für den 54-jährigen Fensterbau- und Reinigungs-Unternehmer womöglich ein einträgliches Geschäft, das aber die heimischen Genossen am Dienstagstern in helle Aufregung versetzte: Sie baten – ein beispielloser Vorgang in der jüngeren Ratsgeschichte – Oberbürgermeister Thomas Kufen darum, den Deal durch das städtische Rechnungsprüfungsamt kritisch unter die Lupe zu nehmen. Wir müssen verhindern, dass wir die Geschäfte der kriminellen Netzwerke und Schlepper in Libyen nicht noch dadurch unterstützen, dass die Migranten immer näher an der libyschen Küste von europäischen Schiffen aufgenommen werden. Das führt dazu, dass die Schleuser noch mehr Migranten als in den Jahren zuvor auf die seeuntüchtigen Boote zwingen, ohne genug Wasser und Treibstoff. Juristin im Verteidigungsministerium: Terrorgefahr war bekannt!